I love him so totally, completely, sometimes it threatens to overwhelm me. Sometimes I think . . .
No. I won't write about that. ALICIA Alicia Berenson writes a diary as a release, an outlet - and to prove to her beloved husband that everything is fine. She can't bear the thought of worrying Gabriel, or causing him pain. 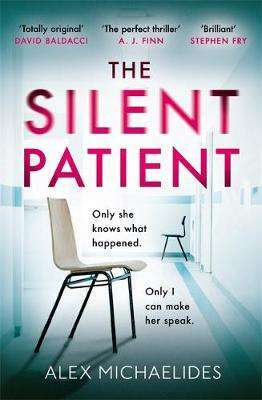 THEO Forensic psychotherapist Theo Faber is convinced he can successfully treat Alicia, where all others have failed. Obsessed with investigating her crime, his discoveries suggest Alicia's silence goes far deeper than he first thought.